The ‘Two Sessions’ are one the most important meetings in Chinese politics. At present, China is facing the difficulties of the Sino-American trade war and economic slowdown. This year’s meeting takes places at the one-year anniversary of Xi Jinping’s amendment of the constitution, where he removed presidential term limits, and also the 70th anniversary of the CCP’s rule. But in 2018, economic growth fell below expectations and slowed to 6.6%. 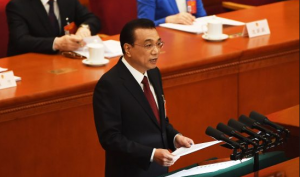 This is the slowest rate of growth for China since 1990 and consequently, Li Keqiang set the economic growth target at 6.0%, 0.5% less compared to last year. In 1990, the Chinese economy suffered the effects of the Tiananmen Square protests, after which lots of countries boycotted Chinese products. China hopes that ‘One Belt One Road’ is the way out: by investing lots of money in developing countries, new consumers, new markets and new channels can be created. The Chinese Foreign Minister, Wang Yi, also said that in the past 40 years, the most important focal point of Sino-American relations is through cooperation both sides can reap benefits. He hopes that if US government can distance themselves from their Cold War ideology, this will in turn lead to healthy competition. And in spite of many future challenges, he still believes that both countries can solve this issue. Wang also supported Huawei’s decision to take the US government to court. In the US, all of Huawei’s products are banned due to suspicions of their link with the Chinese government. Recently, the US also approved Meng Wanzhou’s extradition, who was arrested in Canada last year; from that moment on, Sino-American relations have become progressively worse. I think that Wang’s statement is extremely interesting: unexpectedly, the Chinese government is trying to protect its citizens and companies. But what’s more interesting is that the Chinese government recognises the fact that the longer the trade war continues, the larger the effects will be. Although the US will be affected badly, China will be affected even more, since Chinese companies rely on American technology. If US technology companies are ordered by the US government to stop all interaction with China, this could lead to great social, economic and political problems. Wang also confirmed that Xi would visit Europe next month. Although he said that Sino-European relations were good, he said that it could be influenced by external factors, hinting that Europe shouldn’t follow US’ example, such as pressuring China over trade deficits. Although on the surface the Two Sessions are serious, they are still some rather amusing (and bemusing things! 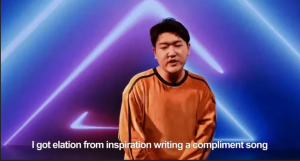 )– for example there was a rap song which promoted the meeting featuring solely English lyrics. Were the intended audience foreigners, or does the Chinese government think that English songs are more popular? I’m still not sure! But the big problem was that the lyrics didn’t make sense, due to countless errors. Consequently, it didn’t matter the audience, no one could understand it, which makes me think that the idea has somewhat backfired. In addition, a politician said that Tibet welcomed foreigners and that any restrictions were simply because the government needed to protect foreigners’ health. Due to the Tibet’s geographical and climatic challenge, foreign travellers could have difficulty adjusting to the high altitude. He even said that local people had sometimes found travellers’ corpses in tents! Finally, just after the Two Sessions had started, I looked out the window, and still saw the grey of the air pollution, which was quite depressing: normally, when Beijing is hosting a large political meeting, a few days before its opening, the government orders the nearby factories to stop production. 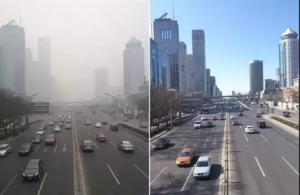 As a result, Beijing’s sky is blue and everyone enjoys breathing in the fresh air. But this week, it was only two days after the Two Sessions had started that the blue sky appeared. This clearly means that the current air pollution is serious and that it needed a long time to disappear.